The Intel Xeon e5-2600 v3 server processor. Microsoft has debuted a new series of VM (virtual machines) in the cloud and it claims that its G-Series are the most powerful available – from any provider on the market - in the public cloud. 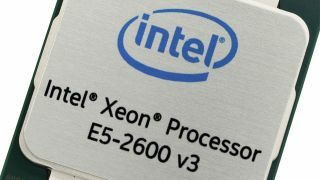 They all use an unidentified member of the Intel Xeon E5 v3 family; one that is particularly popular in data centres and has been adopted by the likes of Lenovo, Oracle and Amazon already. The smallest available VM size is the Standard_G1 with two cores, 28GB of RAM and 412GB local storage while the Standard_G5 ramps up to 32 cores, 448GB of RAM and 6.6TB SSD. The Standard_G1 is roughly equivalent to the Standard_D4, although the latter has four times the amount of virtual cores and costs about half. The G5 instance however costs nearly £5.90 ($8.90, AU$11), a 250% premium compared to the next highest instance (the D14). The G-series virtual machines are only currently available in the US with no details as to when they will be available in other regions.